Super Stable, Flexible, and Durable. Easy Installation and Simple Removal. Perfect 360 Degree Rotation Function. Convenient Single-Handed Operation Enhances Driving Safety. Easy Lock and Release Button With a Single Press on the Back. Our excellent car cradles have passed several different quality tests. Namely, Loading Test, Dropping Test, High & Low Temperature Test, Pulling Test and Vibration Test. The extension design of our mount almost allow all phone currently on the market to fit into it without hassle. 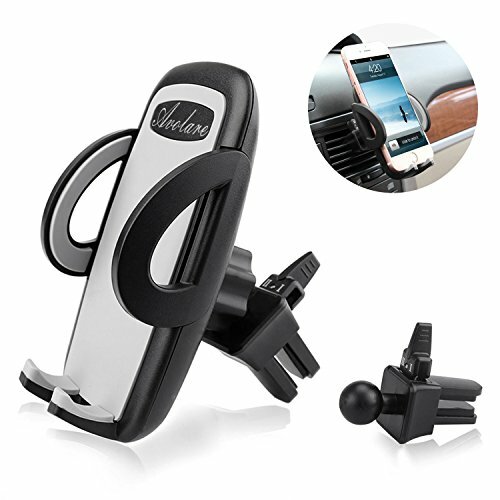 Avolare Car Phone Holder ensures that you can drive safely without fearing accidents or fines. Our car cradle is easily install and simply remove, no tools needed, you can install the car holder just few minutes. You will receive a refund or a replacement if you are unsatisfied with our universal car mount holder. Any questions, please feel free to contact us at globauservice.uk@outlook.com. We are always ready to serve you faithfully.